A LETTER TO MOMO - Perfect for anime fans and suitable for the whole family, A Letter to Momo is centered on an 11-year-old girl, who has a hard time coping with sudden changes after her father’s death. 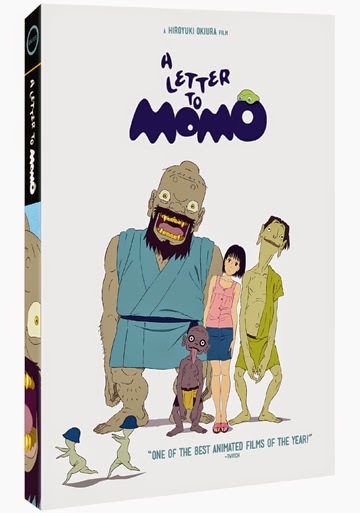 An official selection in the Toronto Int’l Film Festival and a Grand Prize Winner in the New York International Children’s Film Festival, the A Letter to Momo Blu-ray and DVD includes an English dub voice over and native Japanese bonus audio tracks, as well as English subtitles. From the creators of Ghost in the Shell comes the supernatural anime classic featuring thousands of squirming, morphing ghosts and spirits. The last time Momo saw her father they had a fight and now all she has left to remember him by is an incomplete letter penned with the words “Dear Momo,” but nothing more. 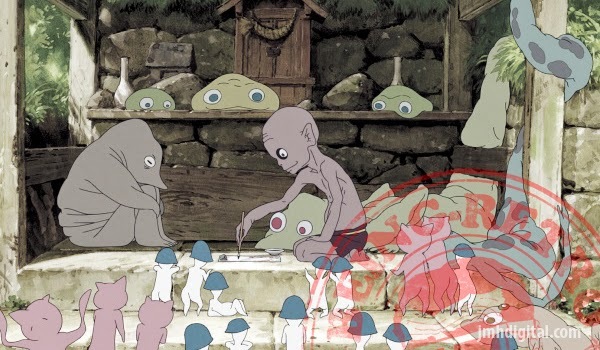 Moving with her mother to the remote Japanese island of Shio, Momo soon discovers three Yokai living in her attic, a trio of mischievous spirit creatures that only she can see and who create mayhem in the tiny seaside community as she tries desperately to keep them hidden. But these funny monsters have a serious side and may hold the key to helping Momo discover what her father had been trying to tell her. I have to say, it was a treat and the odd stuff... well you grow to love it all!